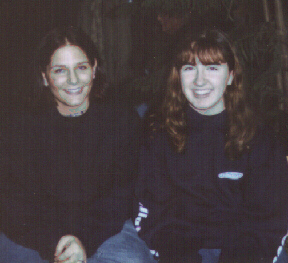 Here's a picture taken on January 4, 1998. On the left hand side is Jaime and I'm on the right. 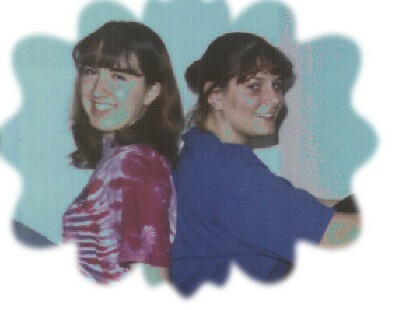 Jaime and I have been friends since 1994, since we were Freshman in High School. At first we didn't click, but, once we started hanging out, we were attached! Jaime and I have spent the last years together, things haven't been easy, with me being in the Army, but we manage to make it all work. She's been a great friend, and I love her so dearly for that. In 2001 she married Jeffrey and then in May of 2003 Jaime gave birth to baby Oliva. I'm an auntie by circumstances. Both events I have missed, due to the army, but she's so supportive of me... and I thank her for that. I love you Jaime! Thanks for everything girlie, I couldn't have asked for a better sister, and now I have two!